At our Fall Creek, TX office, we use the OPD-Scan III from Marco. 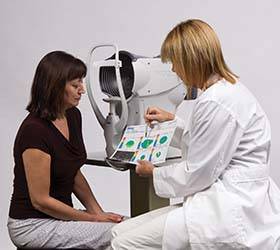 This remarkable wavefront device uses the most advanced technologies available to help us better evaluate your unique vision needs. 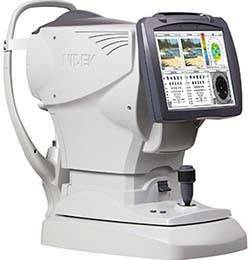 It gives us the ability to measure and diagnose your vision much more thoroughly than has ever been possible before by filling your optical path with more diagnostic light rays that catch any imperfections that exist. Our goal is to achieve superior understanding of your full visual pathway. Traditional refractions can miss small imperfections along your optical path through which light travels. The OPD-Scan III from Marco better simulates real life vision by filling your optical path with more diagnostic light rays that catch any imperfections that exist.